Reading aloud to students is a wonderful way for kids to see how fluency works, tone, expressions, and more. Sometimes reading aloud doesn't happen as often as the teacher would like because a grade is not involved. 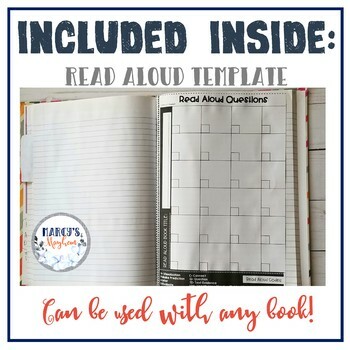 With this product, you can use the template to get a grade from your students to use for a completion grade or specific questions you ask while reading. Using the template does take prep work from the teacher before-hand. 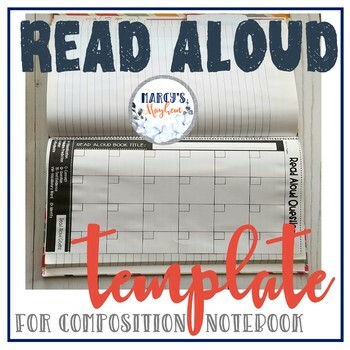 Have your students glue the Read Aloud Questions Code Key into their composition notebook and also the template. Prior to reading a book decide what type of question you will be asking the student. 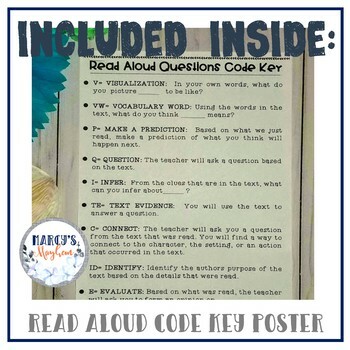 Available in the code box are visualization, making predictions, infer, evaluate, connect to the text, questioning, using text evidence, vocabulary words definition, and identify. The student will indicate what type of question you will be asking and mark the code in the box. Then the student will write the answer to the question in the box provided. 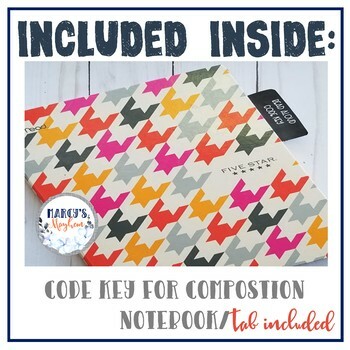 A classroom poster and teacher key is provided in the product. I hope you enjoy using this product. If you have any questions, please feel free to contact me.